Throughout its long and storied history, the 505th Infantry Regiment has maintained a proud legacy within the U.S. Army and upheld the fighting spirit established by its first commander, James Gavin. Today, as it was then, the 505th Infantry represents an elite force of soldiers dedicated to fighting tyranny and upholding its motto “H-Minus,” one that truly reflects an a combat unit ready to spring into action, always prepared for any mission. Throughout most its history, the 505th, nicknamed “Panthers,” as wells as the regiment’s individual battalions, have been assigned to the U.S. Army’s 82d Airborne Division, and the regiment traces its lineage back to the origins of the Army’s airborne infantry. The 505th Infantry Regiment was constituted as the 505th Parachute Infantry Regiment (PIR)on 24 June 1942 in the Army of the United States, and activated at Fort Benning, Georgia, on 6 July 1942 with a young Lieutenant Colonel James M. Gavin commanding. Gavin’s leadership style was reflected in the intense training and meticulous grooming of officers that were assigned to the newly formed regiment. Every officer, especially the junior officers, was expected to lead from the front, fight as hard as any enlisted man, and provide an example for all others to, not only follow, but look up to. On 29 August 1942 the regiment moved from their camps in Georgia to Camp Billy Mitchell in Alabama, where Gavin set about instituting a tough physical training regimen. After seven months under Gavin (promoted to colonel in September 1942), the regiment was in peak physical condition and trained in close quarters combat, knife fighting, night tactics and jumps, and operation of all manner of crew served and heavy weapons. The 505th was assigned to the 82d Airborne Division on 4 February 1943. On 28 April, the 505th left the Port of New York for Casablanca, Morocco. The regiment would undergo a further six months of training in North Africa before being flown to Kairouan to prepare for its first combat jump. The mission, a part of Operation HUSKY, the Allied invasion of Sicily, would be the first time the Allies would employ large numbers of paratroopers behind enemy lines preceding an amphibious assault. It would also be a night drop. Gavin’s 505th, along with 3d Battalion, 504th Parachute Infantry, the 456th Parachute Field Artillery Battalion, Company B, 307th Airborne Engineer Battalion, and various other supporting units, were selected for the American airborne assault on Sicily. The 505th and attached units were to capture and hold a series of vital crossroads that led to the landing beaches at Gela and those between Vittoria and Caltagirone. After D+1, the regiment would assist the 1st Infantry Division in capturing the airfield at Ponte Olivo. The 52d Troop Carrier Wing was assigned to bring the 505th to their drop zones. Unfortunately, due to the rapid planning and a revision of the airborne element of HUSKY, the 52d had little training in nighttime operations. This inexperience, combined with a severe gale that blew up on the night of 9-10 July, nearly spelled disaster for the airborne forces during the Sicily invasion. As a result of strong winds, poor visibility, and inexperience, the Operation HUSKY drop was badly scattered, with only Company I of the 505th PIR hitting its designated drop zone (DZ). Some paratroopers landed up to twenty-five miles off course. Even so, the men of the 505th began disrupting enemy movement, cutting lines of communications, and securing crossroads into the morning of 10 July. The main objective, the “Y” crossroads leading to Gela, defended by a series of sixteen concrete bunkers, was captured successfully by the 505th. On 11 July, the lead elements of the Hermann Göring Panzer Division, with sixteen new Mark VI Tiger I tanks and nearly 150 other vehicles, began the Axis counterattack. West of Gela, the 505th’s 3d Battalion held onto Biazzo Ridge by their fingertips. The ridge dominated the approaches to the landing beaches and had to be held at all costs. The new M1 bazookas were proving to be wholly inadequate at disabling the heavy Tiger Is, which began targeting individual troopers with their 88mm main guns. Gavin scrambled to bring up any available antitank units with enough punch to drive back the repeated armored assaults. By 1600, German armor was within fifty yards of Gavin’s command post. Just then, with radio contact finally established with the Navy destroyers off shore and a group of 155mm howitzers from the 45th Infantry Division, the men of the 505th were able to call in successive barrages which drove back the German assault. The paratroopers then counterattacked, driving the Germans down the ridge, and overrunning their mortar and machine-gun positions. By the evening of 11 July, the men of the 505th had successfully repulsed the Hermann Göring Division in a brutal, day-long slugfest. In the weeks following the initial invasion, the 505th regrouped and continued the drive to capture Sicily. The regiment advanced through the towns of Trapani, Partanna, Santa Ninfa, and Salemi, where they were met by throngs of overjoyed citizens and sporadic artillery fire. With the campaign for Sicily coming to an end in mid-August, the 505th took the opportunity to rest, refit, and prepare for the invasion of the Italian mainland scheduled for 9 September. The 505th PIR soon found itself in combat once again when it received orders to drop on to the Allied beachhead at Salerno. The nighttime drop on 13-14 September centered on the city of Paestum and was intended to reinforce the tenuous beachhead held by the U.S. Fifth Army under Lieutenant General Mark Clark, and provide much needed assistance to the beleaguered 36th and 45th Infantry Divisions already ashore. Additionally, the Salerno drop would see the first use of pathfinders by the Americans. These new units, which drew from communications specialists from the 505th PIR and other units, would be dropped ahead of the main force and were equipped with new Rebecca-Eureka radio beacons that aided in guiding transport aircraft to their drop zones. The pathfinder’s guidance, combined with experience gained in Sicily by both the paratroopers and the transport pilots, resulted in extremely tight jump patterns. In Italy, the 3d Battalion stole the spotlight again when their commander, Major Ed “Cannonball” Krause, took an American flag he carried with him to the post office in the city of Naples where, on behalf of the 82d Airborne Division, he raised it over the first major city in Europe to be liberated. Following the capture of Naples, the 505th distinguished itself in a series of assaults on 4-6 October that resulted in the capture of vital canal bridges en route to the Volturno River. In mid-November 1943, the 505th PIR was reassigned to training centers in Ireland to begin preparation for the invasion of France. On 9 December 1943, Colonel Gavin was promoted to brigadier general and assumed the duties of the assistant division commander of the 82d Airborne. Lieutenant Colonel Herbert Batchellor took over command of the 505th. In early 1944, the regiment was transferred to England, and would welcome a new commander on 22 March 1944, when Lieutenant Colonel William Ekman replaced Batchellor. Ekman would command the 505th through the remainder of the war. On 6 June 1944, the 505th Regimental Combat Team (RCT) was one of the few units to land largely within its designated drop zones in Normandy during the opening phase of Operation OVERLORD. This is can largely be attributed to the regiment’s experienced pathfinder teams and that 505th’s earlier combat drop experience over Sicily and Salerno. The 82d Airborne was ordered to capture the crossroads at Ste-Mère-Église, two bridgeheads over the Merderet River, and destroy two bridges over the Douve River. At 0300, the 505th landed to the east of the flooded Merderet, with nearly seventy-five percent of their serials landing in or near their DZs. The 505th had actually jumped ahead of their scheduled H-Hour, an action that would earn the regiment its motto “H-Minus.” The regiment quickly got to work collecting supply bundles, moving towards objectives, and rounding up stragglers. They succeeded in capturing Ste-Mère-Église, the first town liberated in France, where Major Krause of 3d Battalion raised the Stars and Stripes, the same flag he raised over Naples. In the days after 6 June, the 505th RCT defended the town of Ste-Mère-Église against German armor and infantry assaults while near constant bombardment by German artillery and mortars. During this time, the regiment’s extensive antitank training (a focus during their time in Ireland and England), began to pay off. Despite assaults by German tanks and self-propelled guns, the paratroopers responded with bazookas, 57mm antitank guns, and British-made Gammon grenades, knocking out several vehicles on the causeway leading to the town. German counterattacks, which threatened Utah Beach, were halted by the tenacious paratroopers and a healthy dose of luck. The headquarters of the German 1st Battalion, 1058th Grenadier Regiment, leading the attacks, was eliminated when 1st Lieutenant Waverly W. Wray of Company D, 505th PIR, stumbled upon the enemy command post (CP) while scouting the hedgerows around Ste-Mère-Église. In a brief firefight, Wray killed all eight of the German staff officers in the CP. 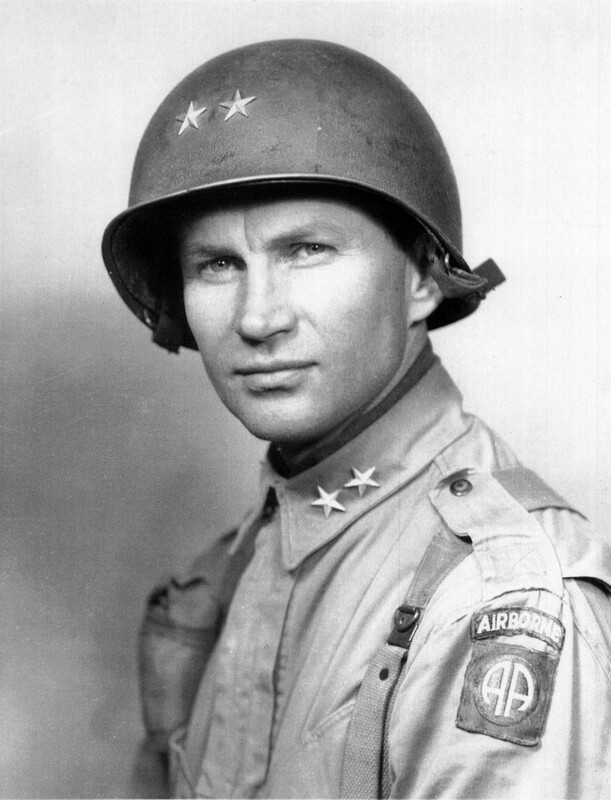 For his actions in Normandy, he would later be awarded the Distinguished Service Cross. The 505th spent a further two weeks in Normandy with little relief from combat and without replacements before returning to England to prepare for its next mission. For its service in Normandy, the 505th earned its first Presidential Unit Citation. The 505th returned to action, and conducted its fourth combat jump, during Operation MARKET-GARDEN on 17 September 1944. The regiment’s objective was to secure the bridges in Nijmegen, Holland, after being dropped just outside the village of Groesbeck. In Holland, the regiment would earn its second Presidential Unit Citation despite the ultimate failure of MARKET-GARDEN. The 82d returned to France for some much needed rest and refit during the fall of 1944. Unfortunately for the the 505th, the Germans had other plans. German panzers and infantry crashed through the American lines on 16 December 1944, beginning their Ardennes offensive, and catching the Allies by surprise. 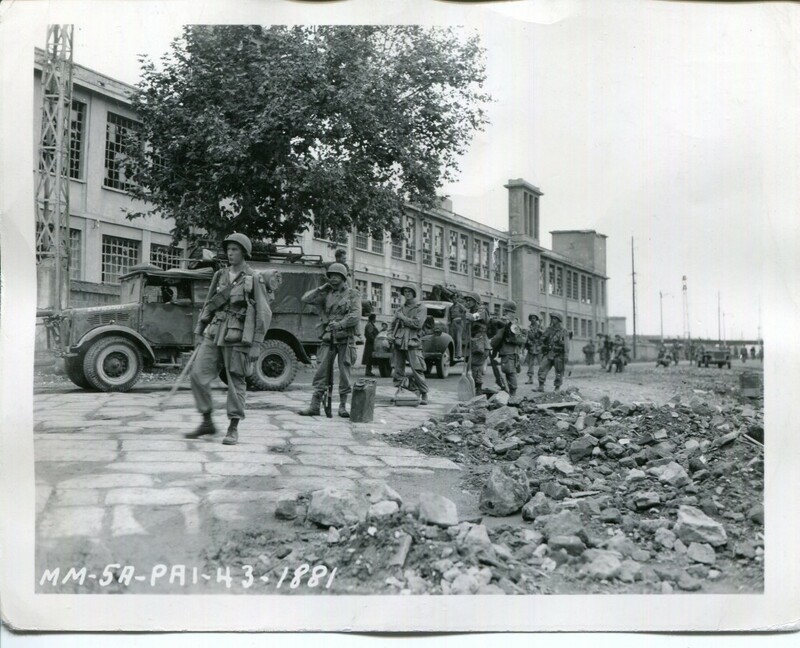 Elements of the 82d Airborne, including the 505th PIR, were rushed forward from bases in France to Belgium despite their lack of ammunition, suitable antitank weapons, and cold weather equipment and clothing. 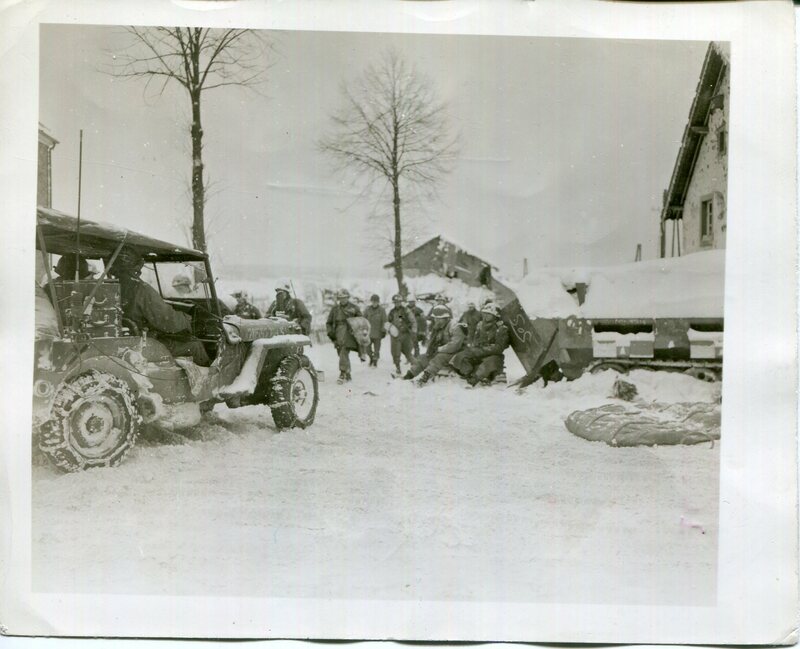 Regardless of these supply shortcomings, the 505th continued to epitomize the airborne spirit; engaged in a life-or-death struggle with the 1st SS Panzer Division, elements of the 505th badly mangled the attacking Germans and held their advance on the vital river crossing at Trois Ponts. Weeks after the conclusion of the Battle of the Bulge, the 505th was ordered to attack across the Elbe River into Germany in April 1945. The crossing was a success, and the regiment continued its advance deeper into Germany during the final days of the war in Europe. The 505th would remain in Germany through its surrender and the collapse of the Nazi regime. It would participate in the victory march in Berlin and the occupation of the American sector of the city. Over the course of World War II, the 505th lost 465 killed in action and nearly 3,500 wounded and injured. The 505th took part in seven campaigns (with four assault landings) and was awarded two Presidential Unit Citations and several foreign unit decorations. After World War II, the 505th PIR returned to the United States and was assigned to Fort Bragg, North Carolina. In 1947, 3d Battalion was reduced to zero strength, then restored with troopers from the all-black 555th Parachute Infantry Battalion, which had just been inactivated. The 555th troopers were later reassigned to other units throughout the 82d Airborne, making the division one of the Army’s first integrated units. The 505th underwent a number of reorganizations in the postwar years. On 15 December 1947, the regiment was reorganized and redesignated as the 505th Airborne Infantry Regiment. It was then allotted to the Regular Army on 15 November 1948. Both the 82d Airborne and the 505th underwent a significant reorganization when the Army adopted the Pentomic Division. 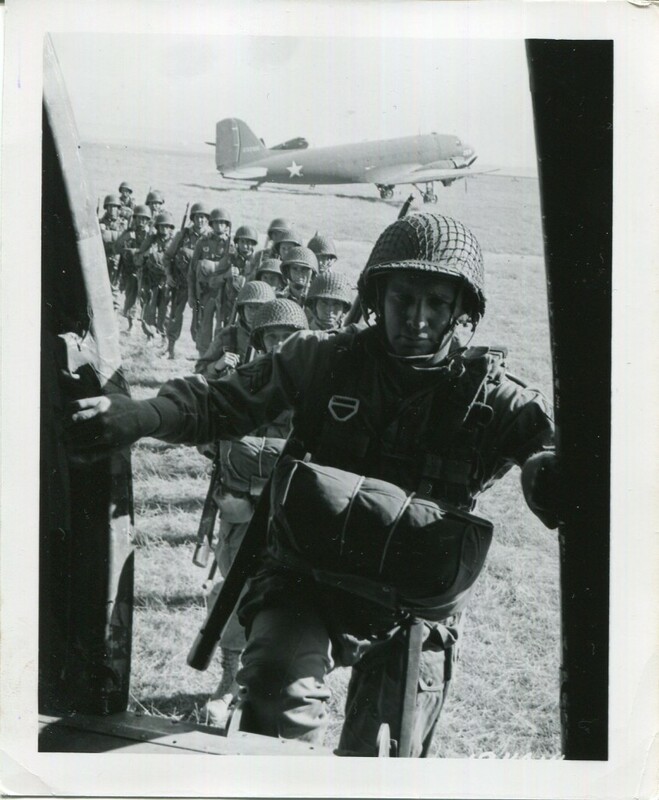 The 505th was relieved from the 82d Airborne on 1 September 1957 and reorganized and redesignated as the 505th Infantry under the Combat Arms Regimental System. The regiment’s three battalions were reorganized and redesignated as battle groups. The 1st Battle Group remained with the 82d Airborne until 1959, when it was assigned to the 8th Infantry Division. The 2d Battle Group was assigned to the 11th Airborne Division, while the 3d Battle Group was inactivated. When the Army abandoned Pentomic divisions in the early 1960s, the 1st and 2d Battle Groups, 505th Infantry, were redsignated as battalions and assigned to 3d Brigade, 82d Airborne Division. During the crisis in the Dominican Republic in 1965, 3d Brigade was called up in support of Operation POWER PACK on 30 April. In less than eighteen hours, the first C-130 bearing elements of 3d Brigade landed at San Isidro Airfield, Dominican Republic. The brigade would return to Fort Bragg two months later after taking part in stability and limited combat operations. Elements of the brigade, including soldiers of the 505th, were ordered to Detroit, Michigan, in July 1967 to quell riots consuming parts of the city. On 12 February 1968, the 3d Brigade (1st and 2d Battalions, 505th Infantry, 1st Battalion, 508th Infantry, and other units) was once again deployed overseas, this time in response to the Tet Offensive. The “Golden Brigade,” as it became known (Lieutenant General John Throckmorton, commander of XVIII Airborne Corps, remarked that “everything [the] brigade touches turns to gold, doesn’t it,”) arrived in South Vietnam on 18 February and was deployed south of the DMZ to clear areas seized by North Vietnamese forces during Tet. In September 1968, the brigade was moved south to counter enemy forces around Saigon. It was assigned to the Capital Military Assistance Command and ordered to secure the western approaches to the city to prevent ground and rocket attacks against the Saigon-Tan Son Nhut airport complex. After twenty-two months of combat, 3d Brigade departed Vietnam for Fort Bragg on 11 December 1969. The brigade suffered 227 men killed in action in Vietnam. The 1st and 2d Battalions, 505th Infantry, took part in seven campaigns, and both earned unit awards from the Republic of Vietnam. While the 1st and 2d Battalions were in Vietnam, the Army activated the 505th’s 3d Battalion at Fort Bragg, but inactivated it upon their return. 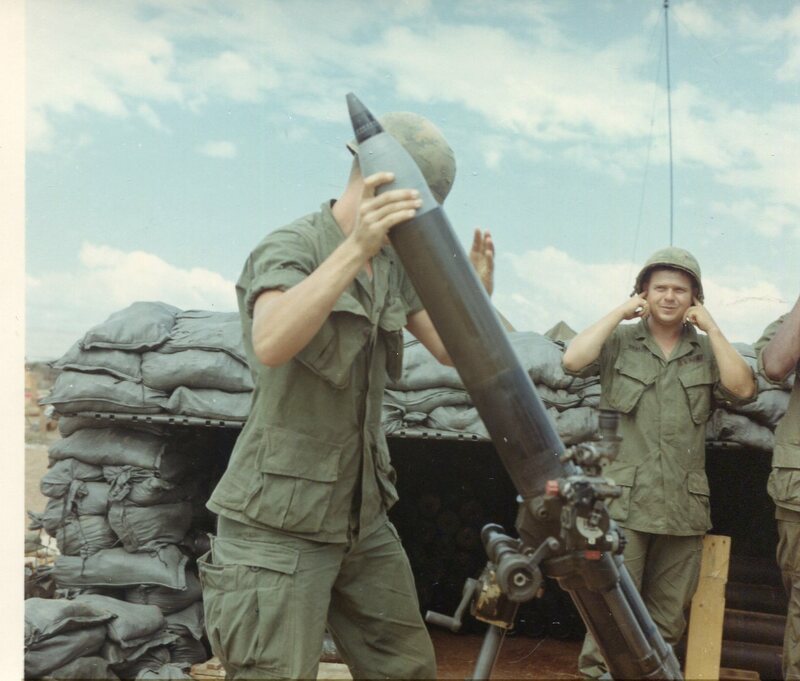 After Vietnam, the 3d Brigade continued its mission of rapid deployments around the world. The 1st Battalion, 505th Infantry (1-505 IN) deployed to the Middle East in March 1982 as a part of the Multinational Forces and Observers (MNFO) in the Sinai Peninsula. In October 1983, it was deployed to Grenada as a part of Operation URGENT FURY, where soldiers from 2-505 IN captured General Hudson Austin of the People’s Revolutionary Army of Grenada. In December 1989, Company A, 3-505 IN, participated in Operation JUST CAUSE to depose Panamanian dictator Manuel Noriega. This marked the first combat jump for any element of the 505th since World War II. All three battalions of the 505th deployed to Saudi Arabia in August 1990 as part of 3d Brigade, 82d Airborne Division, in support of Operation DESERT SHIELD. The battalions later took part in XVIII Airborne Corps’ successful advance through Iraq during Operation DESERT STORM in late February 1991. Following the Persian Gulf War, the 82d Airborne Division returned to a hero’s welcome Fort Bragg in April 1991. The remainder of the 1990s was an eventful time for the battalions of the 505th. On 16 March 1994, 4-505 IN was activated and later deployed to the Sinai as part of MNFO; it was inactivated following its return to Fort Bragg on 30 July 1995. Also in 1994, the other three battalions of the 505th were alerted and prepped for a combat drop against the military-led dictatorship of Haiti in support of Operation RESTORE DEMOCRACY. Upon learning that the 82d Airborne was on the way, the Haitian leaders decided to step down, averting an invasion. Elements of the 505th continued to play a role in various peacekeeping and contingency operations through the end of the decade, including the NATO mission in Kosovo. With the attacks of 11 September 2001 and the beginning of the Global War on Terrorism, elements of 505th have participated in operations in Afghanistan and Iraq. The 3d Brigade, 82d Airborne Division, deployed to Afghanistan in July 2002 to January 2003 in support of Operation ENDURING FREEDOM, where it engaged Taliban and al Qaeda forces, trained units of the new Afghan National Army, and fought to bring stability to a region wracked by conflict. Deployed in support of Operation IRAQI FREEDOM, the battalions of the 505th participated in operations in Iraq from 2003 to 2004, then again as a part of the reorganized 3d Brigade Combat Team, 82d Airborne Division, in 2006 and 2008. Elements of the 505th also supported relief efforts in the aftermath of Hurricane Katrina in 2005. On 15 January 2006, the Army inactivated 3-505 IN. Currently, the 1st and 2d Battalions remain active and assigned to 3d Brigade Combat Team, 82d Airborne Division.